In the world of family history blogs, I feel like the new kid on the block. I probably am the new kid on the block. There’s always that one moment when you know you’ve been accepted into the new neighborhood. For me it was when Mom at Maybe someone should write that down passed to me the Liebster award. I had to look up what Liebster means and apparently it means dearest in German. If I have that wrong, please correct me, but I thought that was a sweet name. Thank you, Mom! Her blog, “Maybe someone should write that down,” is a beautiful site, filled with a variety of posts related to family history, genealogy, the past, and blogging. Mom herself is a great conversationalist in blogland and a welcome and welcoming presence. Please check out her blog, if you don’t already know her site! Hahaha, that would presuppose that there were even a couple of fascinating facts about myself. I’ll try facts about my ancestors–how about them apples? i. My maternal grandmother L. Edna Mulder Zuidweg had the third highest GPA and was class historian when she graduated from Caledonia High School in 1929.
ii. My grandfather Adrian Zuidweg lost the sight in one eye from a sewing needle when he was three years old. He was treated at the University of Michigan Medical Center in Ann Arbor, which must have been quite a trek for the family from Kalamazoo. iii. My paternal grandmother Marie K. Wakefield was the head fitter for the 28 Shop at the Marshall Field flagship store in Chicago. iv. My great-grandfather Charles Mulder blew his pipe smoke into a plastic Yogi Bear bubble pipe I had and made me smoke it. I’ve hated tobacco smoke ever since. v. My great-grandfather Frank Klein built a fish pond and gazebo at his Elmhurst, Illinois, house. vi. My grandmother L. Edna Mulder Zuidweg had to walk 3 miles to school and 3 miles back each day. She walked with her siblings. When there was a bad storm, her mother drove the children to school in a tiny black Amish buggy. vii. My great-great-grandmother Jennie Zuidweg wore eleven skirts and petticoats, each one filled with pockets. She carried items in many of the pockets. viii. My great-grand-uncle Lucas Zuidweg, a sailor, died when he fell on an anchor. ix. The husband of my great-grand-aunt Jennie DeKorn Leeuwenhoek is a descendent of the man who invented the microscope, Anton Van Leeuwenhoek. xi. My great-grandmother Cora DeKorn Zuidweg loved horses and, as a girl, wanted to spend as much time with them as possible. As an adult, when she saw a man whipping his horse, she turned the man’s whip on him. I’m already confused by all the 11s. Were there questions? Here they are (but if you don’t want to answer them, you don’t have to): please list 11 fun facts about your ancestors. 5. Nominate 11 bloggers who I personally enjoy, AND whose subscriber count does not exceed 200 and link to the 11 I choose, and then be sure to tell them why my website is pinging at them. Since I don’t know how to tell what subscriber count anyone has, I’ll give you a list of a few of my dearest family history and genealogy blogs, although 11 doesn’t even begin to do the list justice! i. Back atcha, Mom. Please visit her lovely blog, Maybe someone should write that down. ii. Jose over at Enhanced News Archive is an absolute treasure. He researches newspapers and shares the results online so that the information can be plugged into family trees. He does this service for strangers, as well as for fellow bloggers. What a genealogy hero! iii. 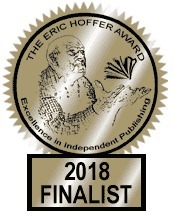 EmilyAnn Frances at Child Out of Time writes charmingly about her family history, which has its roots in Italian, Spanish, and Jewish heritages. iv. Sheryl at One Hundred Years Ago writes a unique blog. Each post showcases a diary entry written by her grandmother 100 years ago and then Sheryl herself provides informative research about a related topic. v. Sheila at I’ll Call It Like I See It and also of Red’s Rants and Raves is a wonderful participant in Blogland. In the first blog, she writes humor and the subjects are varied. The 2nd blog she actually ghost writes for the rescue Welsh Terrier Red ;). vi. Jackie Dinnis, from Brighton, writes beautifully about her own life and that of her family. Her blog provides a window into life in that part of the world over the past decades. vii. Jedwardnajera’s Blog is a great read. He’s a writer and artist and he also posts from a 400 page manuscript his father, who was born in 1908, wrote in Spanish. viii. Relatively Frank showcases a collection of essays written by the blogger’s father. Very poignant window into the life of one who has gone before. ix. Deborah Sweeney at Genealogy Lady is a very accomplished genealogist. I’m fascinated by her rich family stories. x. William at Among My Branches is a thirty-something genealogy addict ;). His stories are well-researched and engaging. xi. Helen Tovey on Stitching Yesteryear weaves together family stories and needlework on her very lovely blog. Thanks, Mom, for giving me the opportunity to give shout-outs to a group of great family history bloggers! 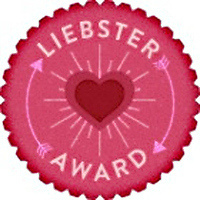 Congrats on your Liebster Award! And I enjoyed reading your response to Mom. It’s fun to read (other people’s and my) family history! Thanks, Wilma! I love it and I’m glad you do too! Thank you for the honor and your kind words! You’re welcome, Deborah–you deserve it! Thank you so much for the really nice compliments for Red and me! We say back at ya!! Luanne: Thanks for the nomination. I don’t have 11 blogs to nominate but when there is time I’ll think of an interesting way to answer the 11 questions at my own blog. I think I will focus on 11 sources of genealogical information and what my experience has been. Congrats on your award. I think you have a top notch blog. I’d never consider you new kid on the block. EmilyAnn, that comment warms my heart. Thank you so much. I can’t wait to see your 11 answers! It’s more than worthy of the award, Sheryl! You run a great blog ! You seem like a pro. I’m struggling to make my blog flow like yours. Very entertaining! Thank you so much for your compliment! It does become easier and easier. Best wishes with your blog!